But ultimately not what I need! Cajun cuisine has an interesting history. Back in the day, French settlers had made a name and place for themselves in what we now know as Nova Scotia and New Brunswick. Back then, this province – which also extended through east Quebec and Maine – was called Acadia. 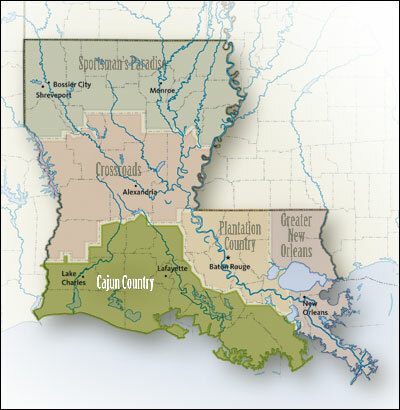 After some dispute with Great Britain (aka the French and Indian War) over the colony of New France, the Acadians were driven out, and eventually settled in the south of modern day Louisiana. Their rustic French cuisine began to change as they migrated. They incorporated any and all available ingredients as they went: rice, corn, sassafrass, crawfish, sugar cane, and game meats such as quail and rabbit. This ever growing cornucopia of ingredients rest on a backdrop of several influences – African, Spanish, Native American, German, British, and French Creole, just to name a few. In my opinion no two similarly titled recipes are the same, they will always differ in essence. Take chili for example! I use cinnamon, chipotle, cayene, adobo sauce, ground ancho chiles in my chili, and then cut the heat with juice from one cough secretingredient cough and honey. 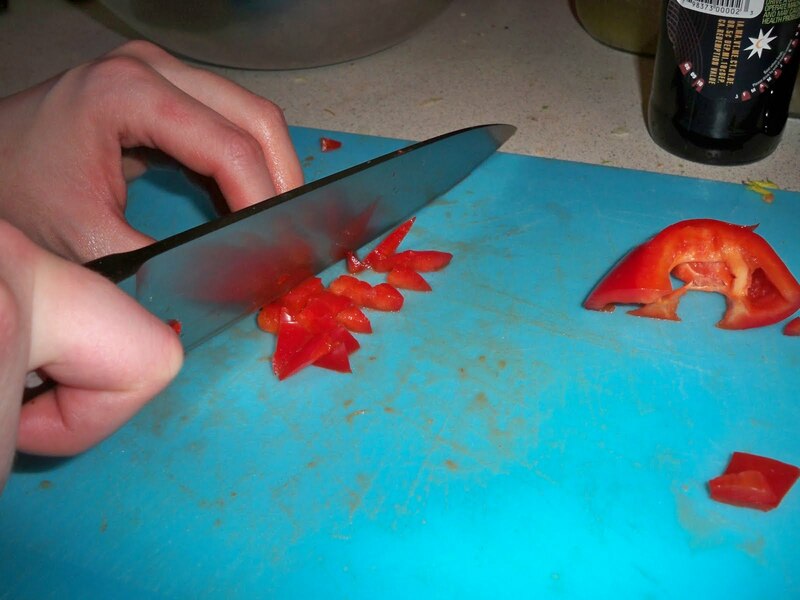 On the other hand, my dad liked to put liquid smoke and every chile ever discovered by man and alien into his, cutting it with nothing but a challenging glare. Both of these are acceptable chili, but they are nothing alike. What ties them both together are the characteristics of chili – heat, beans, meat, spices – but the executions are totally different. The same holds especially true to some Cajun recipes. Uncle Hootchey likes his with hootch! Cajun recipes are notorious for this behavior, often building new flavors with varying ingredients around a structure that remains essentially the same. For example, gumbo is a thick broth stew made with roux, a holy trinity, a slew of meats and the all important okra, which is from the African plant okingumbo. However, the dish has also come to represent a stew you can throw pretty much anything into. As long as you have your thick stock, your trinity, and your okra (or gumbo file), you can do whatever you want with it. Sometimes that means making it a work of art. Etouffee is a little different. The recipes do not usually vary too much on this one. 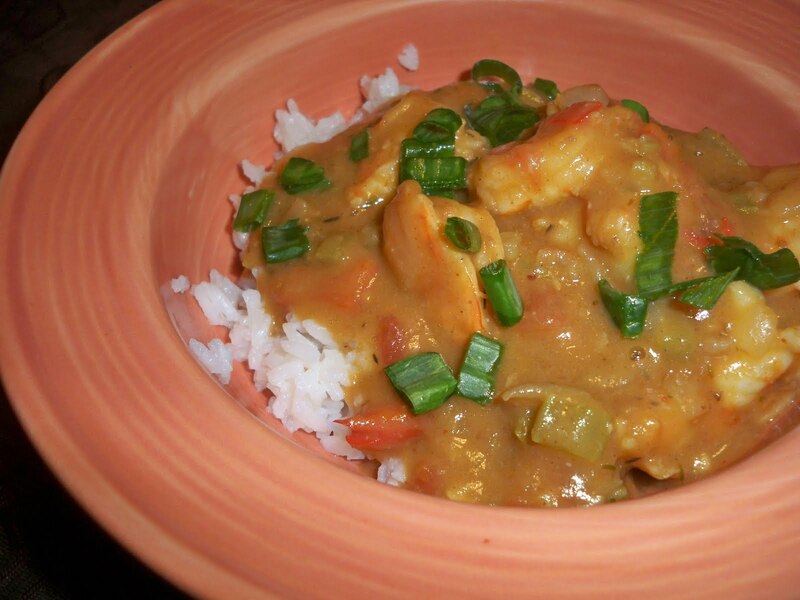 Etouffee is the past derivative of the French word “etouffer” which means “to smother”. When you make this concoction it engulfs whatever you serve it on in a thick, savory magma that is altogether heart warming. A little heads up about this recipe. I would definitely recommend following the philosophy of mise en place with this one. Make sure you have all of your ingredients prepped and ready to go! Makes the process much easier. Also I made my own shrimp stock for this one, but you can pick up any stock you prefer at your local super market. Start with your roux. There is a handy-dandy way to make this in your oven, but I suggest trying it out yourself on the oven first. You know, just to get the experience of working with the closest thing to napalm without having to join the military. Seriously. This stuff gets hot, so be careful! 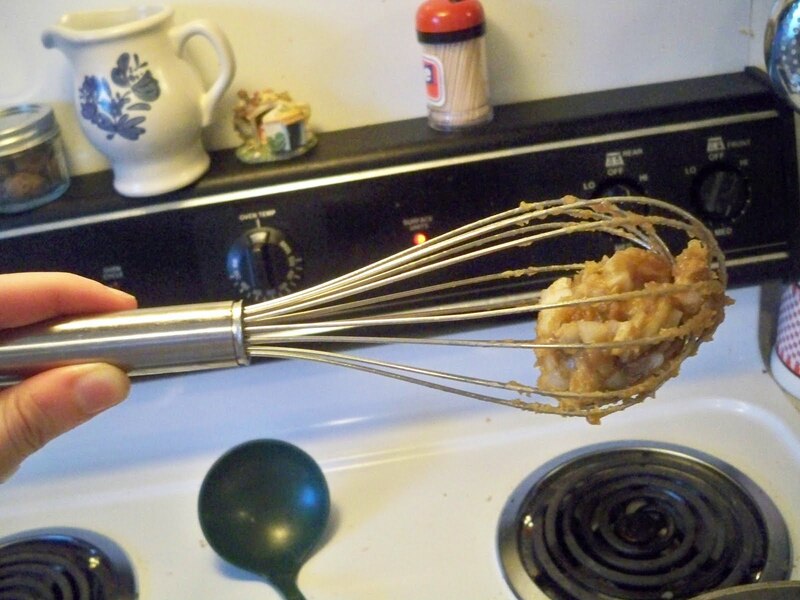 Roux is a great thickener, but can 1) burn easily 2) burn you easily. The trick is to keep stirring and build those arm muscles up. Melt your 6 Tbl of shortening in a deep pan over medium heat, and start whisking in your ½ cup of flour. 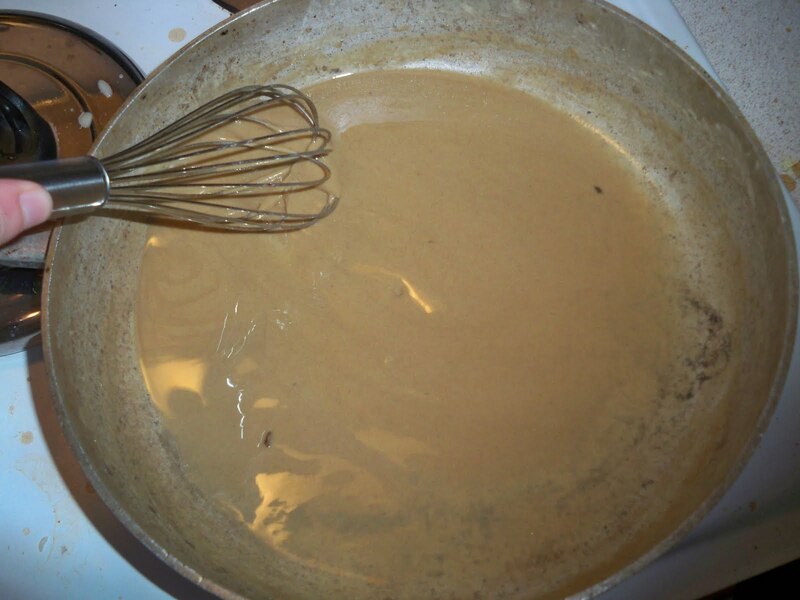 This will take you about 10 – 15 minutes of whisking, or until your roux starts taking on a darker color, close to that of peanut butter or caramel. I chose to keep my roux “blond” to better taste some of the veggies, but you can go darker if you like. 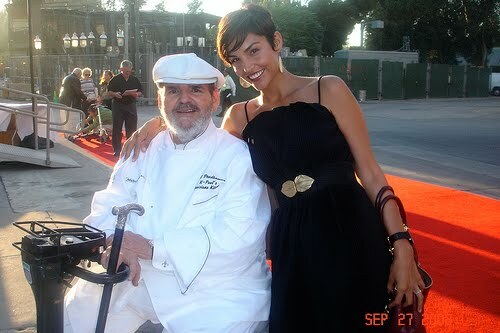 In fact, it’s recommended by Paul Prudhomme himself! 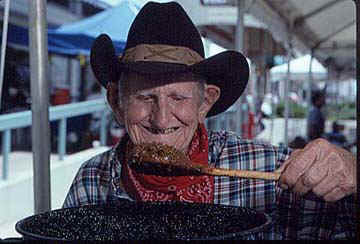 And that guy knows a thing or two about Cajun cookin’. As well as fly honeys. 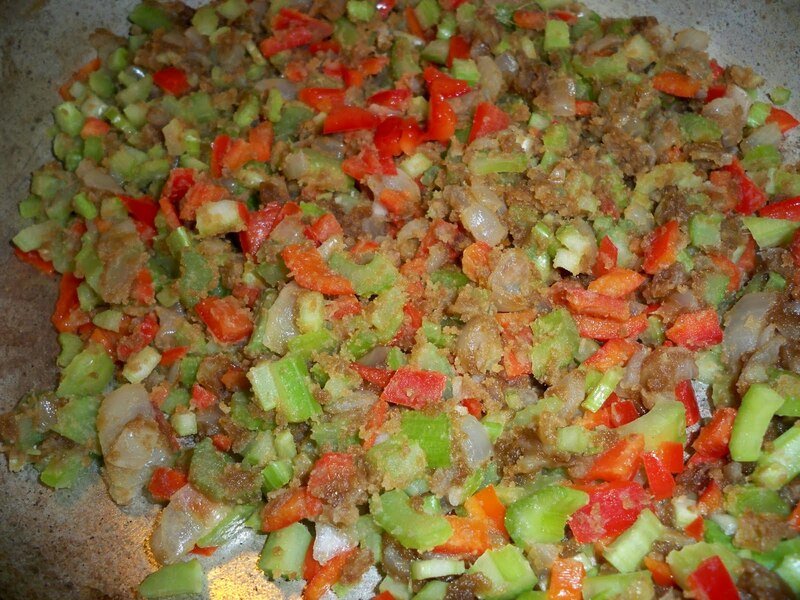 When the onions are soft, nearly translucent in the roux mixture, add your diced garlic, bell peppers, and celery. I dice my celery small, they become little nuggets of moisture, texture, and taste that just melt in your mouth. Love it! Cook for another 10 minutes, stirring frequently. In the mean time, start getting your herbs together. I actually put the paprika, cayenne pepper, and red pepper flakes in my coffee grinder and gave them a spin for a ruby red and spicy essence. Add your diced tomatoes and stir for 2-3 minutes with bay leaves and your gathered spices. Be sure to reserve about a table spoon of the herbs. Now! Start whisking your stock (and 1 Tbl. 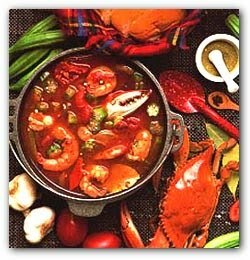 crab boil) into this mixture until everything is incorporated and ready to boil. Have I mentioned all the stirring yet? 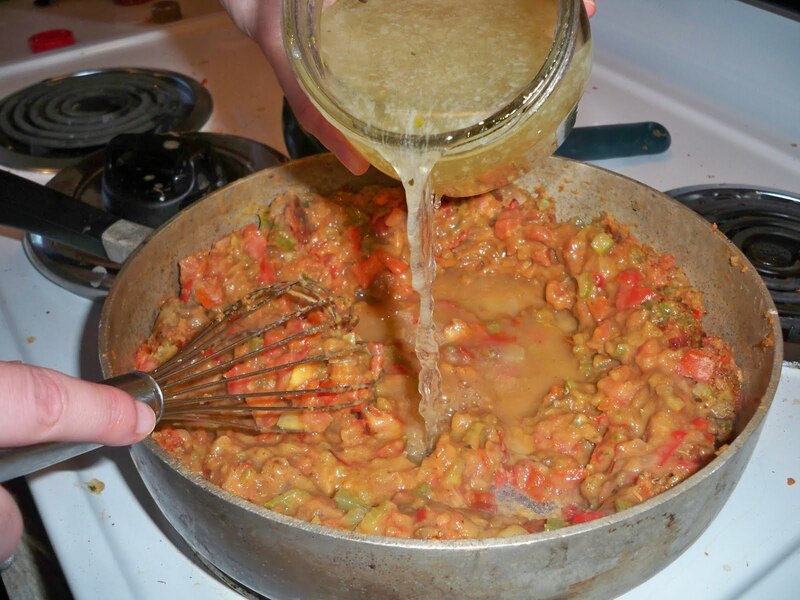 Once you hit that boil, turn the heat down, get your almost finished etouffee to a simmer. Stir this occasionally over the next 45 minutes, and try to resist the alluring, piquant scent coming from the kitchen. 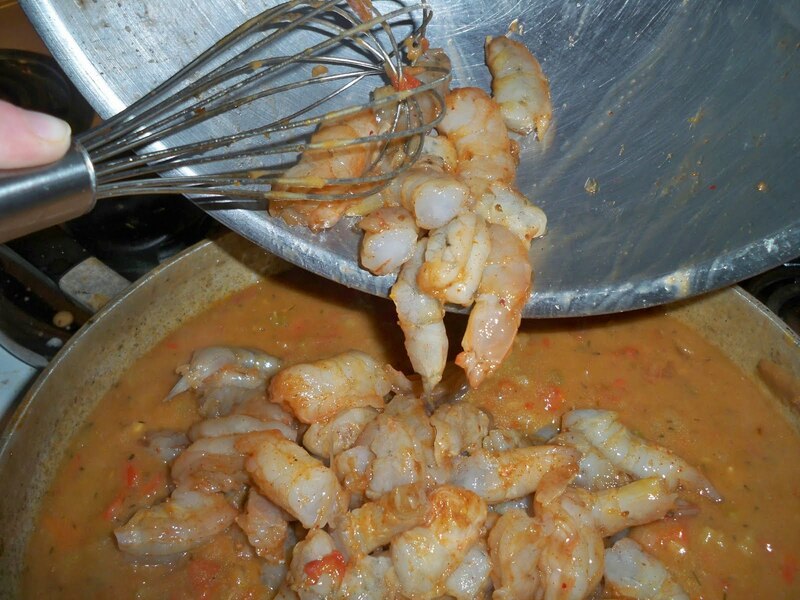 Give the etouffee a taste every now and then, you may want to season, salt, or pepper more! On the side, toss your cleaned, de-veined shrimp in the reserved herbs. I also threw in that second tablespoon of honey. I halved my shrimp, but you can choose to dice or leave whole. 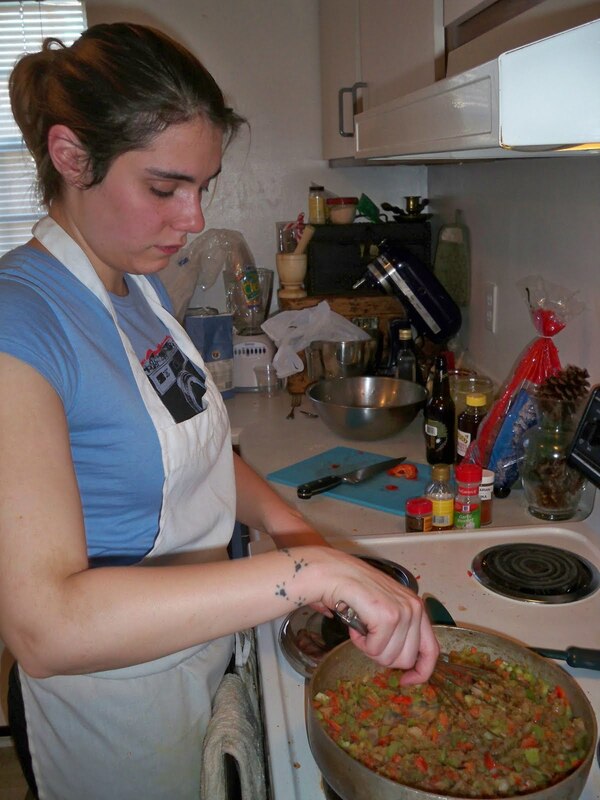 Either way, your etouffee will be delicious. 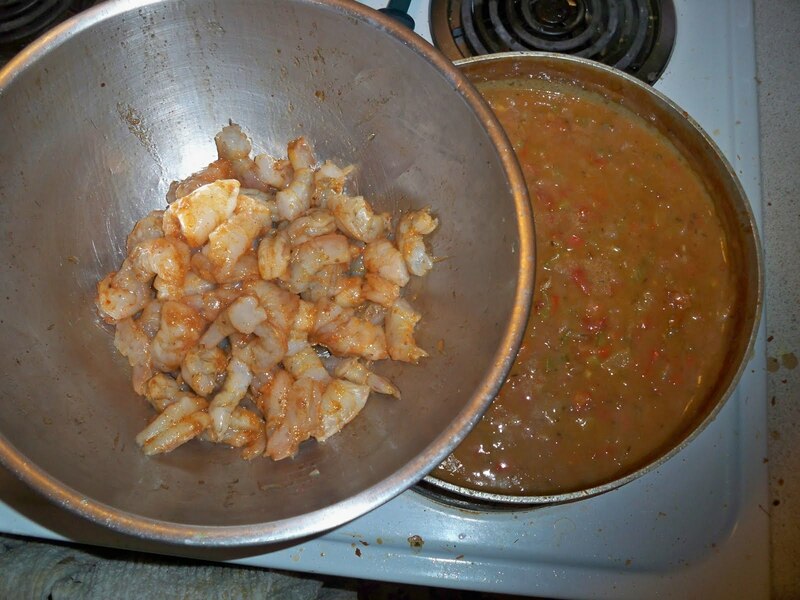 Add the shrimp and the green onions and continue to cook your etouffee for another 7 – 10 minutes, or until your shrimp is cooked through. Clean the drool off your chin, and serve over rice. I topped mine with diced green onion. Coming up next week – for realz this time! – Mirror’s Edge.